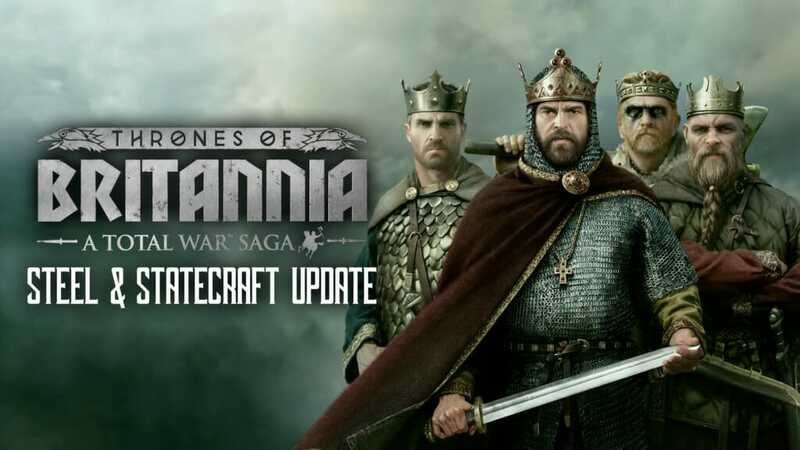 Below is the full list of changes that the Allegiance update brings to Total War Saga: Thrones of Britannia. If you have previously opted in to the Allegiance beta on Steam, please opt out of it as if you remain in the beta you will not have the latest changes or be able to access to Blood, Sweat & Spears. For a list of what has changed between the second beta for the update and the full release, those are listed separately here. 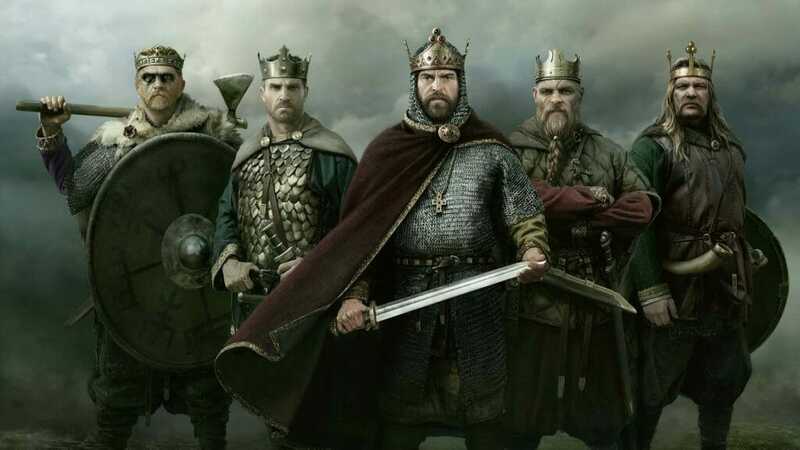 All playable factions have their own Allegiance, with minor factions sharing group Allegiances such as English Kingdoms etc. The event can appear up to five times, and if the player chooses to stick to paganism right up to the last one the effect bundle will be applied permanently! War Fervour has been removed. We felt that this mechanic wasn’t a factor most of the time, and when it was impacting campaigns it was often in opposition to mechanics like Heroism, Legitimacy etc. 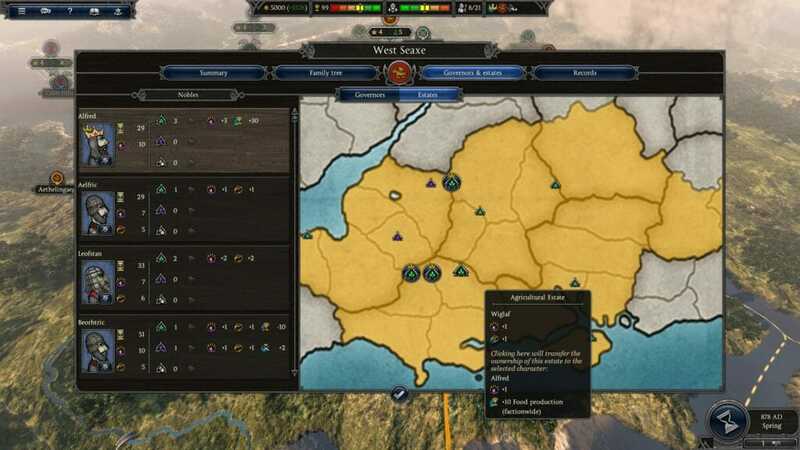 A new mechanic has been added to the English Kingdoms – the Burghal system. This gives bonuses depending on the factions tax level, and whether the faction is at peace or at war. Raiding and sacking now contribute to Tribute mechanic. Similarly to Legitimacy, number of units raiding impacts amount added to Tribute. Fame victory conditions now require certain buildings are constructed in addition to a certain number of Fame points being acquired. General’s Followers: Increased bonuses from followers. Ragnar’s Legacy: The Viking warlord Ragnar was killed by the Anglo-Saxons. Seek revenge for his death! Field of Assembly: An assembly of free men and lawmakers who meet to decide the matters of the day. IT sends the army on missions to keep them busy. Very strong axe and sword infantry. Has access to Berserkers and Norse units. Good unit diversity.